No, Barot was not in my original plans of #60DaysOfSummer. I’d come across the name before but never seriously considered it and I was not even sure about the location. But that day, while coming towards Mandi from from Bir, I came across a it again on Google and realized that it falls somewhere in between. I also found a few obscure trekking routes that seemed exciting. So, I took a bust to Barot. The bus ride was short and mostly comfortable. Coming from Jogindernagar towards Mandi, the bus took a diversion at a small place called Ghatasaini and took a road that was much steeper and curvier than the already curvy main road. This stretch is around 25 kms but the slope eases out after the midpoint. Barot looked a bit demure at first sight. There were many small, wooden huts in the main market, making it look like lumber trading station from the Wild West. The very reason of its existence is a power project on the river Uhl, around which Barot is built. The barrage is right besides the market and there is a bridge to cross over to the other side. My online research showed that the place has barely two or three accommodation options. So, I saw an obviously named homestay called “Barrage View” and took up a room for the next few days. However, later on I discovered that there are many other options in the nearby areas contrary to what the online sources mentioned. This place is just beginning to experience a tourism boom probably. But I will come to that part later. So, for the first day and a half, I spent walking around the place, without trying too hard to do anything. Barot is that sort of a place that takes one back to a more innocent era. There are tourist facilities but it has not yet been turned into a Mcleodganj or Kasol or Manali. It will eventually but as of now it remains somewhat sleepy and unhurried. There are trekking routes but even they are barely explored and frequented mostly by locals only. 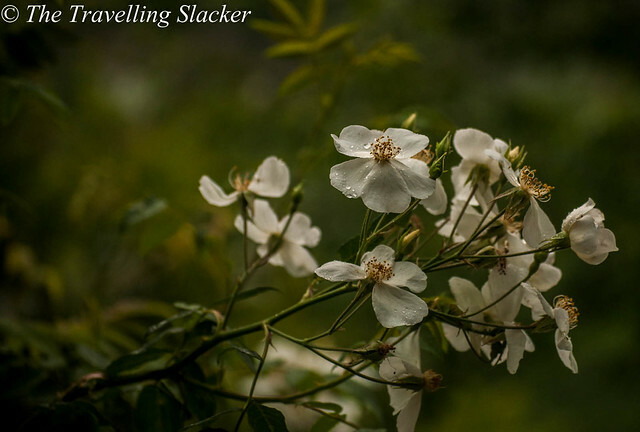 So, I also soaked in the laidback air and experienced simple joys of life, such as sitting on the banks of a river, hiking around the nearby hills blooming with wild summer blossoms, and ogling at other people who do not have the same needs and exigencies as myself. There were herds of sheep jostling for space on the bank of the river, schoolkids returning home after a hard day’s work, and there were local women chatting idly while their cattle grazed around them. I started by getting back to the road and walking ahead. I passed the government run trout farm and then I came across the confluence of two hilly rivers, Uhl and Lamba Dug. There is a bridge over there that took me to another concentration of shops, homestays, and restaurants. So, the information I gathered wasn’t really accurate. This is actually a separate village called Multhan, just ahead of Barot. But this area has more facilities for accommodation and food. I walked ahead along the road, which apparently goes towards Baragaon, which is an important point for long-distance trekkers. Personally, I just walked till the point where there is a small waterfall, and stayed there till sunset. The next day, I crossed the bridge over Uhl just in front of my homestay. The interesting thing about Barot is that it is divided between two districts. So, far I was on the Mandi side. Now I’d crossed over to Kangra. There are many more homestays and restaurants on this side. I’d not noticed them earlier but after a bit of brisk walking, I discovered them one by one, along with a camping site too. 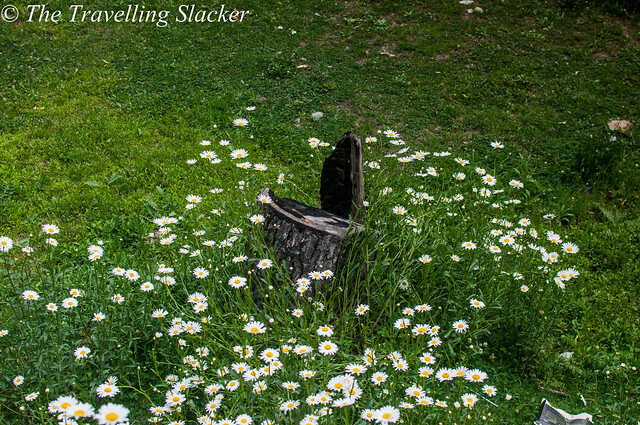 The entire riverbank was covered with seasonal flowers, especially daisies. It was an idyllic setting but I was now in mood for a longer hike. I was not sure where the road goes but I kept walking. I entered a more desolated area covered with dense vegetation. The first noteworthy thing I came across here is the haulage trolley track. 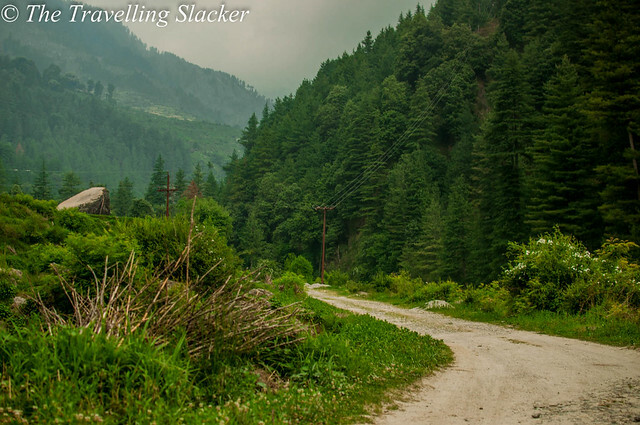 It is a British era track that was built to transport luggage and people from Joginder Nagar. It looked like a monorail trek but it was going straight up towards the steep peak of a hillock and getting disappeared in the jungle. This could have been a tourist attraction all by itself but I was told that it is not longer functional. It is currently owned by PSEB (Punjab State Electricity Board) but I do not think they are really utilizing this well. I walked further, walking past fields of potatoes and kidney beans on the slopes of small hillocks and also the path started to get steeper. I was walking along the Uhl so far. I saw many small streams meeting the river… And then it hit me! First I thought someone had thrown a stone at me. But then I realized that a hailstorm has arrived from nowhere. I took shelter under a tree but I din’t really mind it because this was something I had not seen in years. It was a regular affair during my schooldays in Assam and having lived in places like Mumbai, Bangalore, and Delhi for so long, I’d forgotten how it even looked like! Anyway, it was just a passing storm and it got over as soon as it began. I resumed my hike and started to get more clearer views of the valley and the river as I gained elevation. I noticed rhododendron trees but the flowers had dried up. However, there was no need to worry because wild roses and various other wild flowers had made up for the same. It was pleasantly colourful and the rain had made them look even fresher. I hiked for at least 3 kms and was planning to go ahead as far as possible till it was dark. However, the clouds made it darker than usual and a it became hazy too. I came back, with plans to trek more the next day. But that one is a longer trek and will discuss it in another post. Till then, just enjoy these ones. Where exactly is Barot located? What to do in Barot? 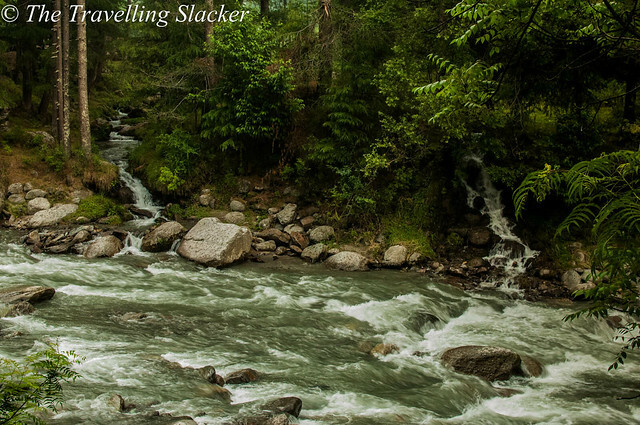 Barot is a secluded valley watered by the rivers Uhl and Lamba Dug, at an altitude of 1800 meters. This area is also called Chauhar or Chuhar Valley. It is located on the border of Kangra and Mandi districts. So different parts of the area fall in different districts. The area beyond Barot is Chota Bhangal, followed by extremely remote Bara Bhangal. 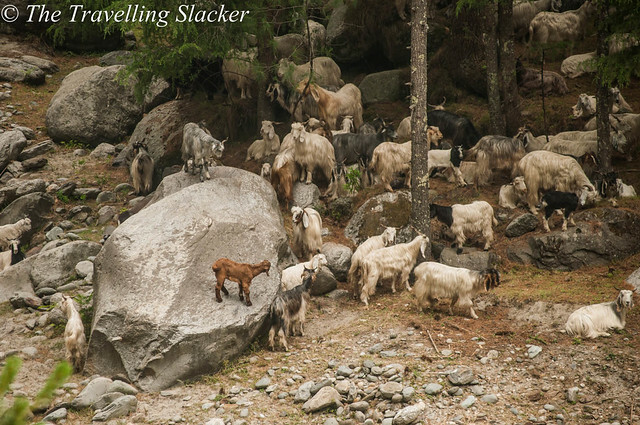 There are numerous villages and trekking routes here that are still hiding many secrets although Barot itself has become very popular among tourists. This place originally developed as a part of Shanan Hydel Project in the 1920s. Even now, the power project is the most noticeable aspect of Barot. 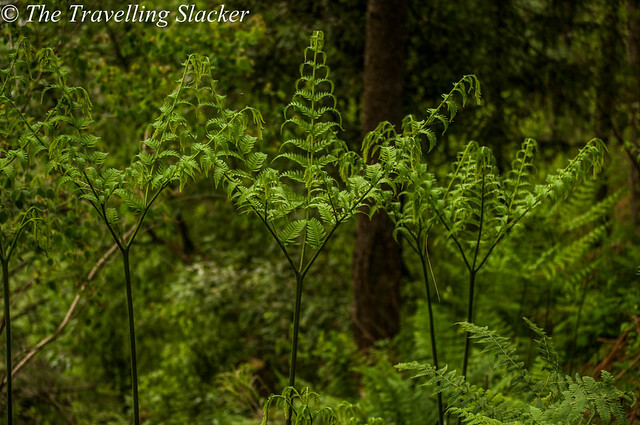 The jungles around Barot are a part of Nargu Wildlife Sanctuary, which explains the presence of Forest Resthouses in some of the remote villages here. Reaching Barot is not that hard. 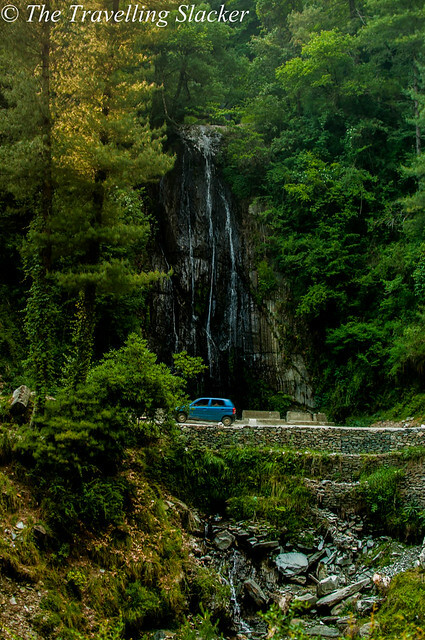 The road to Barot branches out from Kangra to Mandi highway from a place called Ghatasni. You can get direct buses but if don’t get one, reach Ghatasni and wait for the Barot bound bus. Barot buses apparently leave from both Mandi and Joginder Nagar. From my experience, they seem to be more frequent from Joginder Nagar. You can take a flight to Kangra from Delhi and then find bus/cabs to Jogindernagar, and tehn to Barot. You can take a Delhi to Pathankot train and then you can also try to iconic Kangra Rail to Jogindernagar via Palampur. It is a slow hill train that will take much more time and you do it only for the sake of experience. 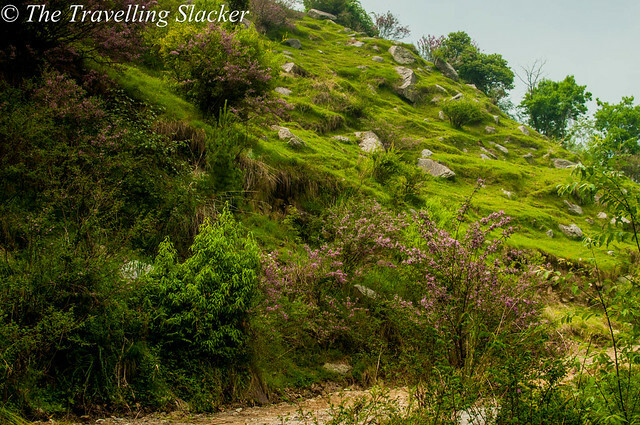 Take an overnight bus from Delhi to Mandi or Palampur-Jogindernagar and then find local buses to Barot. Multhan is another village adjacent to Barot. It looks the same and has also grown along with Barot and so, visitors can also look for accommodations in Multhan. Lohardi is a small village around 6 Kms from Barot. This is where the road ends. New homestays are coming up here also. From this point, people can trek to more remote villages in the hills. Check my seperate post on Lohardi here. Baragram is another road head on a different direction, along with nearby village of Kothi Kohr. It is a small village and from here one can trek to Rajgundha village and then on to Bara Bhangal, which is a very difficult trek undertaken only by experienced trekkers. 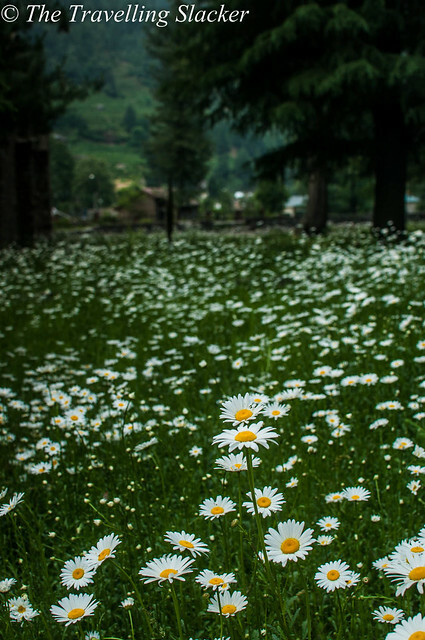 As is the case in most parts of Himachal, spring and summer seasons are delightful in Barot, and so is the post monsoon season. Rainy season between July & August may be a bit difficult to move around due to excessive rainfall. During the peak of winter, you can find ample snow here. However, the road can also get blocked due to snowfall. It is a unique construction. It is a British era funicular track that was built to transport luggage and people from Joginder Nagar. It looked like a monorail trek but it was going straight up towards the steep peak of a hillock and getting disappeared in the jungle. It is still owned by Punjab State Electricity Board & it is no longer functional but still worth a visit and only a short walk from the main market of Barot. You can climb up to the hill along the line. (Check Winch Camp Trek in the trekking section). 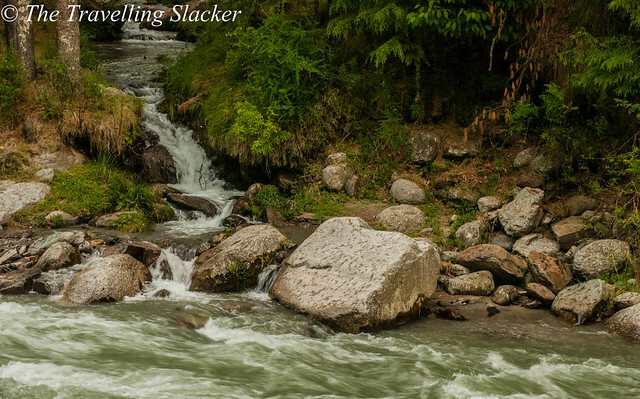 Uhl river is one of the major trout fishing destinations in Himachal. 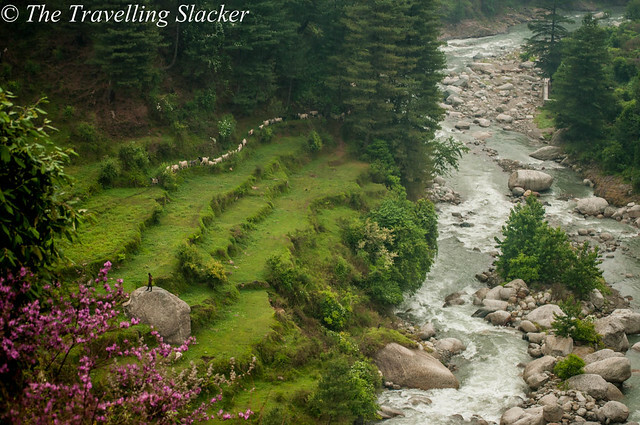 There are some fish farms around Barot and the river is a delight too. Personally I am not much into such violent activities but I know that a lot of people will enjoy it. Walk around the nearby villages to get aquainted with local culture. You will discover many local myths and stories. The main deity here is Dev Pashakot. Try to locate his shrine too. Many excellent treks can be done from Barot. Check the next section for more details. 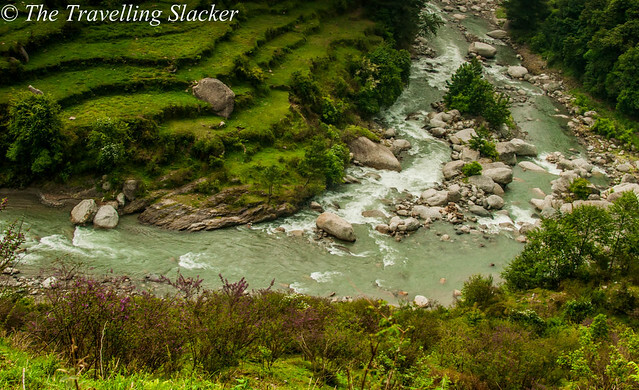 Barot is an excellent trekking destination although treks here are surprisingly not very well-known. 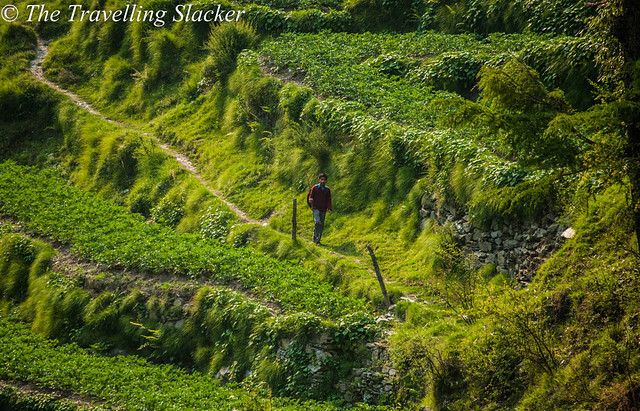 You can always go for day hikes to the nearby hills and villages from Barot. There are so many hilly villages, and so many mountain passes beyond them that it is hard to keep track of all of them. Here are a few major ones. Hike to the Winch Camp (3-4 Hrs). This is where the operating machinery of the famous Haulage Trolley is located. 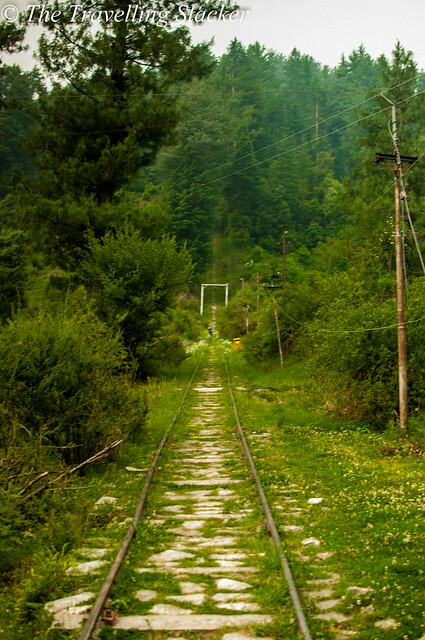 The trolley route, which looks like a narrow gauge railway line, was built in the British era to ply goods from Jogindernagar to Barot Valley. It is no longer functional but still a unique construction with few parallels in India. You can camp at the top, overlooking both Jogindernagar and Barot Valleys. You can trek from Jogindernagar side too. From Barot, you can get a bus to Badagran/Baragram, which is the last roadhead and a beautiful village. From here you cna trek to Rajgundha, which is another beautiful village in the lap of the Dhauladhar. Rajgundha is now connected with a road to Bi-Billing, which is famous for paragliding and Tibetan diaspora. Bara Bhangal is generally done from Bir-Billing or Manali-Lamba DUg side. But from Barot also, you cna reach Rajgundha and join the main trail towards Thamsar Pass. As mentioned before, it is a tough multi-day trek, and a holy grail for serious trekkers. You will need serious preparation for this one. The 4200 meter high freshwater lake of Dehnasar has mythological significance. 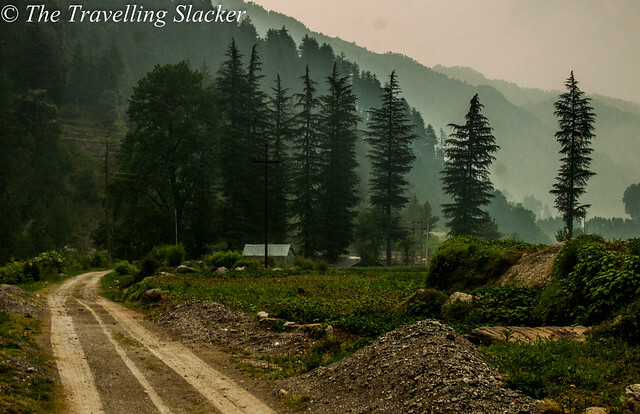 There are many routes leading to it but the most frequented one is via Barot and Lohardi. 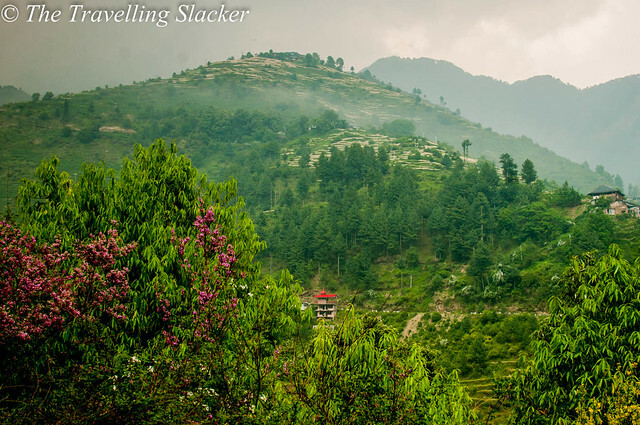 This region is connected to Lug Valley, the fertile apple growing region of Kullu via several lwo altitude passes such as Bhubhu Pass (2800 meters) & Himri Pass (3200 Meters). There are several routes here. You will need knowledgeable guides here or you will be get lost in the jungle. 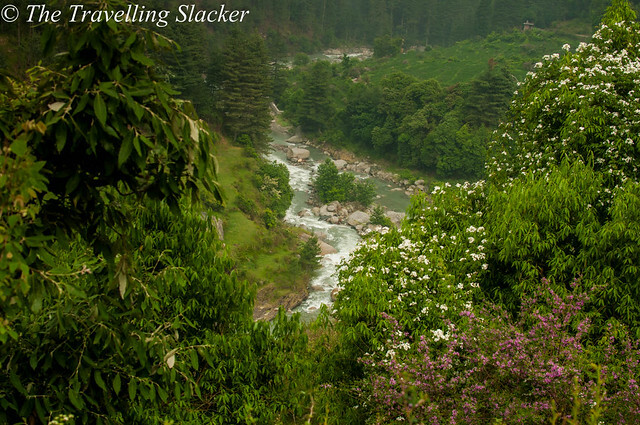 Barot, and ithe neighbouring village of Multhan, has scores of homestays, mostly located along the river uhl. Back in 2016, most rooms were of INR 400-500 range. But I could sense that a tourism boom was coming. I even found a much bigger, fancy hotel & restaurant in Multhan, which looked outalndish in this setting. 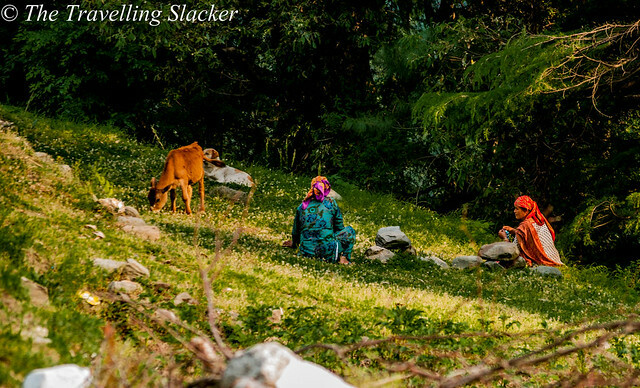 Apart from Barot, you can also find homestays in Lohardi. There may be more in Baragran side but I can’t vouch for it. Also, you can find Forest Rest Houses at some unlikeliest of the places. For example, there is a FRH at Swar village, a few KMs hike from Lohardi. In Barot, all major phone and data connections work. I spent several days and had no problems in performing daily tasks as a digital nomad, back in 2016. However, beyond Barot, signals will be dicey. In Lohardi, I could not see Airtel but surprisingly Vodafone’s signal was available. Just like most other places in Himachal, scoring alcohol is not hard in Barot. In fact, the caretaker at my homestay seemed to be in a perpetually inebriated state. I even saw an alcohol shop even in Lohardi, the last roadhead 6 Km ahead of Barot. Awww, that shade of green – I love! And your write up is short and sweet, great work. One question, how do I subscribe to your blog? The first picture is a killer. Amazing shots buddy! The lush greens look so refreshing. What a beautiful place! :)! Stunning pictures! Barot is such a dreamy place. Would love to visit it someday! Lovely! We had missed Barot by a day. The way we were planning to, a huge festival along with millions of devotees, kept us away from seeking a quiet day or two. Great post Jitaditya. I like the writing and photography. You make me want to go to this place. I was actually planning to go here but did not make a plan yet. Thanks to your post,it gave me that push to seriousely plan a trip here this June. Fingers crossed. I must (rather shamefully) admit, I’ve never even heard of Barot. But your pictures assure me it is indeed breathtaking. Absolutely lovely, thanks for sharing! 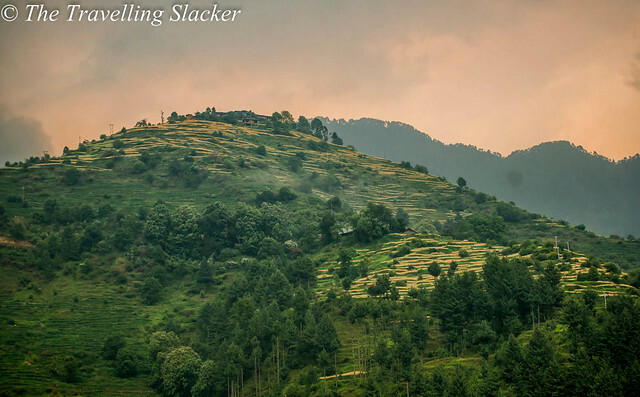 I’ve never heard of Barot, but from your pictures, I can tell it is a very beautiful place. I was happy to see another goat picture! I don’t know why, but they make me smile! Had been to Barot but never halted there for a long span. For me it was just a pass by. But your post had made me curious to explore this small place and esp those treks. Great clicks. I loved that waterfall pic. Had been to Barot but never halted there for a long span. For me it was just a pass by. But your post had made me curious to explore this small place and esp those treks. Great clicks. I loved that waterfall picture. It looks like you made a great decision to go to Barut. Even if the tracks weren’t really clear and you didn’t know what to expect, the trip was worth it for those beautiful views. And indeed, living in the city, we don’t really appreciate how rain (in your case hailstone) feels like in the middle of the nature. Barot is extremely beautiful! The flowers, the lush green landscapes, the splendid greenery, what a masterpiece of nature. Untouched and pure. Unplanned destinations bring unexpected surprises. And Barot is no exception. Never heard of this lovely place but judging from your account and photos, I dare say it is a perfect destination for hiker and nature lover. Gorgeous photos, as always. I hadn’t heard of Barot but it sounds like a lovely quiet place to visit. I’d love to hike in those mountains, I can just imagine how fresh the air is. Those views are to die for! Some of your pictures remind us of Switzerland. These landscapes are so pristine and pure. Your experience of hailstone reminded us that even for us it has been a long time though we experienced a lot of snow in Swiss but no hailstone. 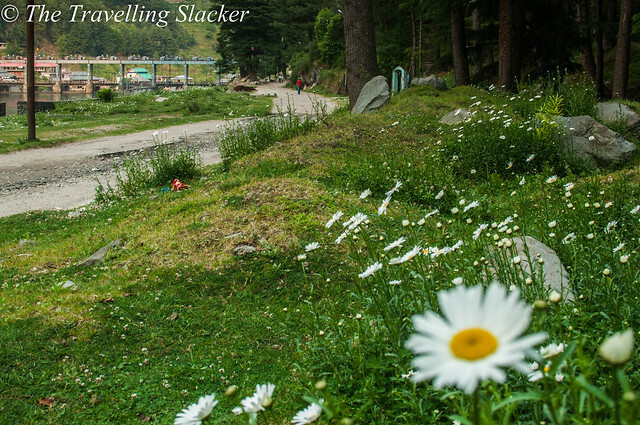 We too love hiking and trekking exploring the charm of nature and we are definitely gonna love Barot. Needless to say, beautiful pictures! Reminded me of posters and wall papers we had back when we were children. It was quite a realisation that these places actually do exist! 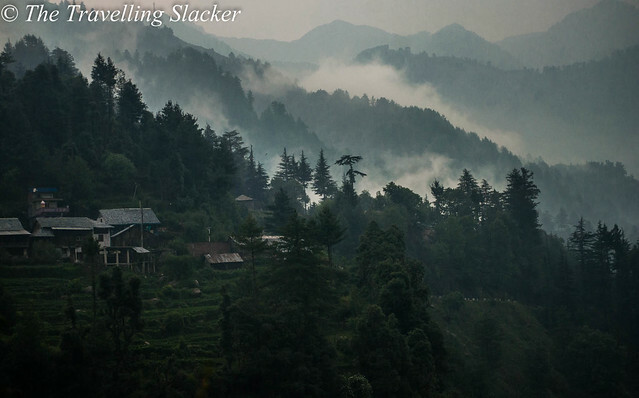 Beautiful write-up, you have described Barot and your journey to the place so beautifully! Amazing places you visit… envy you! Love the lush greenery all around… a breath of air there must be so soothing. Looks like a beautiful place and off the tourist radar. When I visited Manali I always wanted to stop by small villages but back in 90’s homestay facilities were not there. Nice to know that there are so many options to stay in tiny villages too. Perfect base to stay and explore such hidden gems while trekking.